While Americans were immersed in the midterm elections, a caravan of thousands of people were heading from Central America toward our border, walking hundreds of miles in search of new opportunity. The migrants made the news amidst a crowded election news cycle. As our divided country used the migrants’ journey and their plight to make political statements, it was easy to get caught up in the media blitz. But why were these people taking such a risk to their own lives and the lives of their families? In the United States, political asylum is granted under law with the United States Citizen and Immigration Services for people who fear persecution in their home country. This is a highly contested issue, as we have seen the debate over Syrian refugees, particularly under the Trump administration. The system can be very rigid for those seeking asylum, and many don’t succeed. So what are the other options? How can we work to tackle one of the larger, root issues these migrants and many others in the developing world are facing — the lack of economic opportunity. It’s one of many variables, but its one that Americans can reasonably create direct, positive change. Ever Escalante’s story is one of many stories from the caravan, told recently in the New York Times, many of which highlight this common trend of lack of economic opportunity fueling instability and vulnerability. Corruption, conflict, and political violence contribute to systemic poverty that affects too many people around the world. And in El Salvador, Honduras and other parts of Central America, weak rule of law and governing institutions have allowed gangs and criminal groups to take control, perpetuating the cycles of poverty and violence. The United States was built on the premise of opportunity and freedom. We have ascended like no other country in history for the simple fact that millions of immigrants journeyed to the United States for this collective ideal of equality of opportunity. That ideal, rooted in strong institutions, provided the opportunity and incentives to work, innovate, and create. Each generation built on their own ability to earn and grow, increasing accountability of democracy and the relationship between citizen and government. Opportunity creates wealth, which pays for human development in education, health, technology, and more. This cycle can completely transform a nation, much like we have seen in China over the past thirty years. American consumers and businesses are a force to be reckoned with, accounting for the majority of wealth in the world and spending an all time high of USD 12,968.54 billion in the third quarter of 2018. American consumers are ever looking for more unique, high quality, and environmentally sustainable products — products the developing world can offer. Millions of artisans in the developing world are currently struggling without access to capital or opportunity to keep their crafts alive. These crafts, such as rug weaving, glass blowing, and carpentry, to name a few, are often embedded in a country’s culture and the chief export for their country. For example, rug weaving in Afghanistan is an ancient tradition, where different tribes have unique weaving styles passed down from generation to generation. 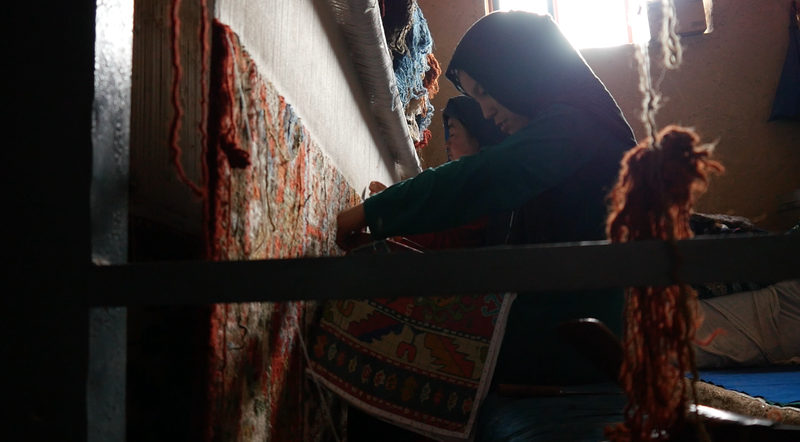 Handmade carpets account for nearly 20% of exports in Afghanistan. Artisans are the second largest employer, behind agriculture, in the developing world, with an estimated market cap of USD 32 billion, but this is the tip of the iceberg. There is significant untapped potential in artisans products throughout the world. If we can fill the gap between demand from the United States and other Western nations, and supply from traditional artisans — paired with international standards for fair labor and wages — then millions of artisans can earn higher, and more sustainable incomes to rise out of poverty and build better lives for themselves. When we think about Chinese manufacturing estimated at 2 trillion dollars worth of goods that China exported last year alone, it’s easy to imagine how big the impact could be if we redirect even a small slice of that pie to artisans living in low income countries. If consumers started to shift away from factory made goods that harm the environment (China emits more carbon dioxide than both the United States and Europe combined), artisans could have a greater shot earning their way out of poverty. MesoGoods, a social impact company based out of Guatemala, did just that. Their work with artisans in the Momostenango region started small. In 2013, MesoGoods formed a partnership with a Guatemalan weaver named Luis. Since then, it has grown into a 40 person operation and the artisans’ daily incomes have increased five times since 2013. MesoGoods now works with communities of artisans in Honduras, Guatemala, and Peru, where it provides sustainable income opportunity to 550 artisans. American consumers have the power to lift millions out of poverty. Groups such as MesoGoods, Nest, and the Artisan Alliance are fostering relationships with artisan groups all over the world, helping their businesses to prosper and bringing their products to large, international markets. Large corporations such as West Elm have also played a significant role in advancing artisan opportunity — by sourcing their products, and thus buying large purchase orders from local artisans in the developing world — they are providing critical, sustainable incomes for artisans that is often unmatched through smaller scale retail. Boutique retail and online shops have helped boost demand, and funding from governments such as the United States and others, help create the infrastructure for the artisan economy to bring products to international markets, but these efforts are still falling short. We can no longer leave human rights, equality, and social justice up to the politicians and the policymakers. We as consumers can create change and there is ample space for the creative business communities to contribute. I’m calling on you — designers, entrepreneurs, and artists, whether you work in fashion, luxury goods, home goods, furniture, or elsewhere, and consumers — that is all of us. Together we can push artisan products to international markets and present boundless opportunity for millions in poverty. The opportunity is there, and through conscious consumerism we can avoid thousands of people journeying hundreds of miles from their home for opportunity because the opportunity will exist within their communities.